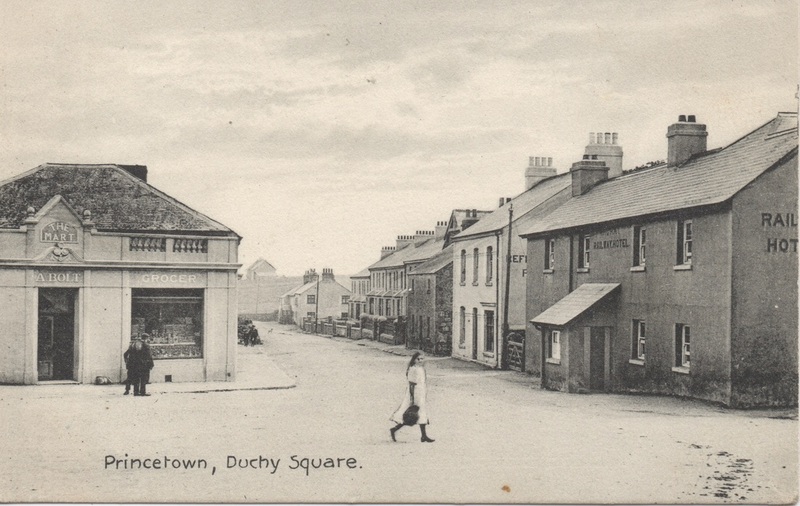 Although this card is titled "Duchy Square", I thought it actually fitted best on the Two Bridges Road page. 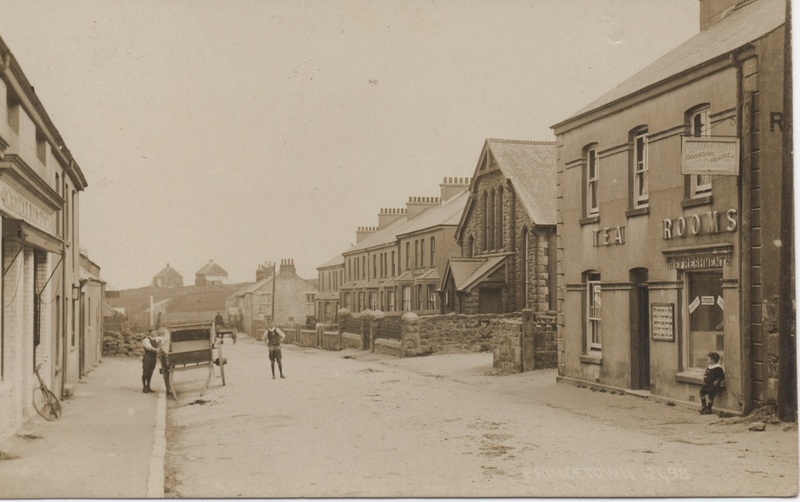 In particular because above the young girl's head can be seen the original building that stood at the entrance to Tor Royal Lane. A building seldom caught on camera. 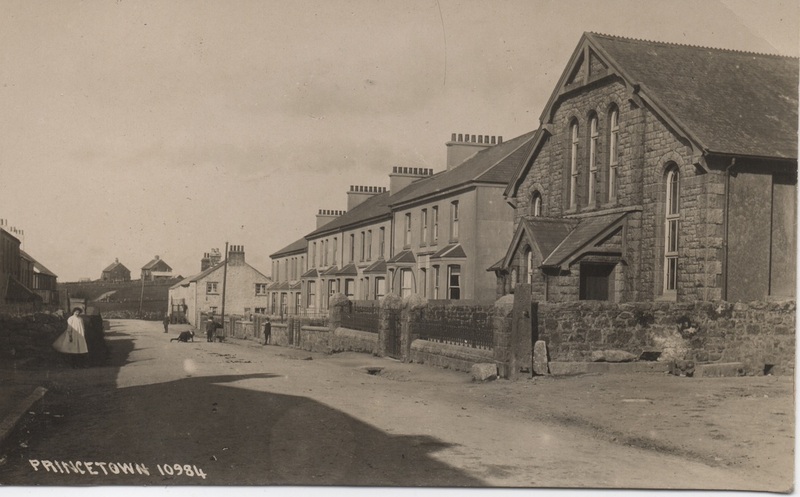 As noted from the picture above, the original building has been replaced by the building seen today. A Chapman card SN: 10984. 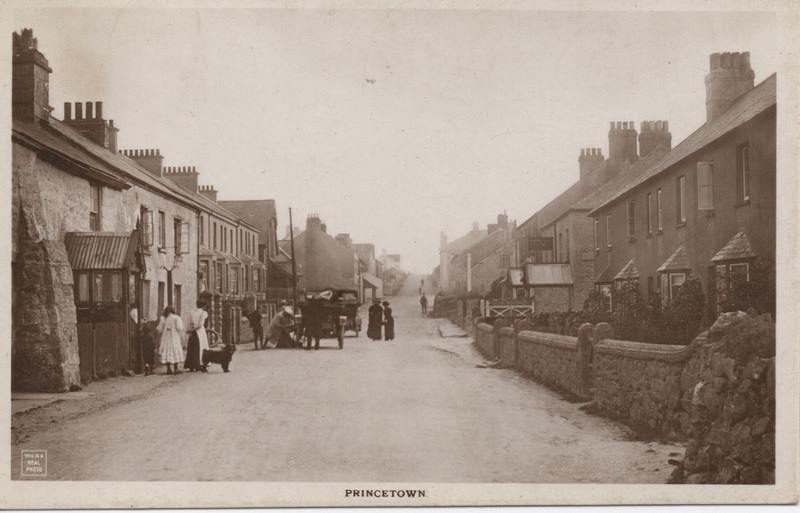 On the face of it a rather pedestrian view of Two Bridges road, showing Princetown Wesleyan Chapel, Albert Terrace and beyond to New London. The reverse of the card bears a rather interesting message. " On the other side is a photo of our little Chapel where we meet such good friends whose hospitality means so much to us just now. It is the centre of our activity outside the Settlement. July 1917" What is interesting is that this means that this card was written by one of the Conscientious Objectors interned in Dartmoor Prison during WW1. 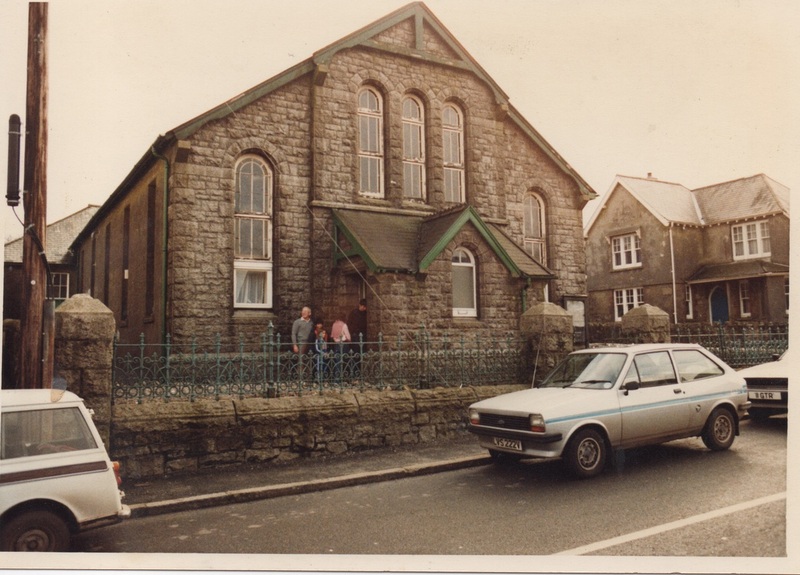 This picture was taken in the late 1970's or early '80's and shows Princetown Wesleyan Chapel not long after is was converted into accommodation for families visiting inmates of HMP Dartmoor. The building is currently being converted into flats. This represents the third phase of use for this building. I wonder if in a hundred years time it will have another? 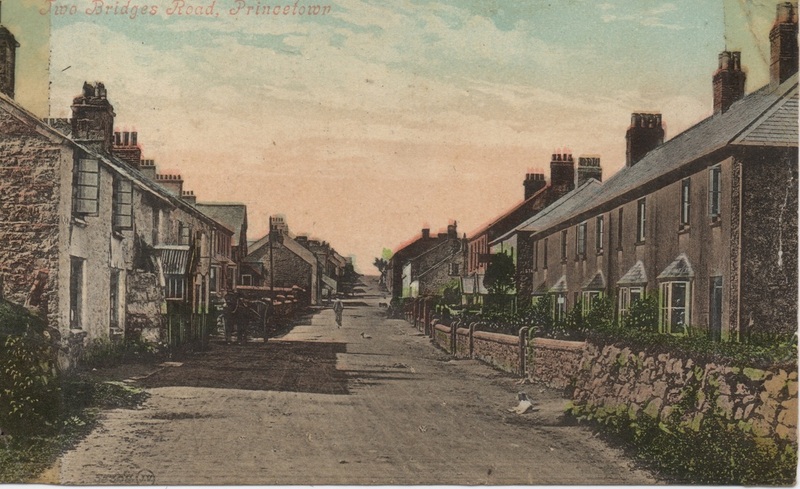 An undated card showing Two Bridges Rd. The card was published by W. B., P.
A Chapman card S/N: 10977. 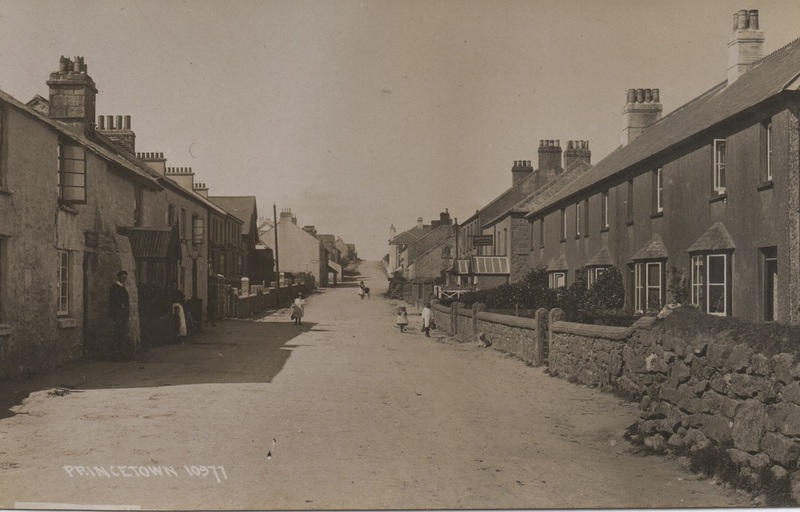 The sign on the right hand side of the road is advertising M. A. Williams Boarding House. A view of Two Bridges Road on a Valentine's Series Card. Sent in August 1908 to a Miss Lottie Worth, Governors House, H.M. Prison, Exeter.